Whether it’s leftover candy from Easter (wait – is that really a thing?!) or, if you’re like me, you’ve slowly smuggled it from your kids’ baskets to keep them from overeating, what do you do with extra Easter candy? One thing I love about Easter candy is that it’s so pretty! Most of it is decorated or dyed in pastel colors. There’s such a delicious variety, too, and who really wants to let all that go to waste? 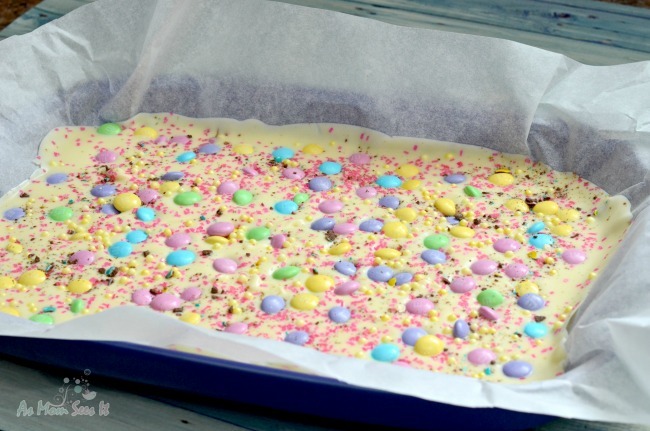 That’s why we created this versatile, beautiful, and crazy delicious Easter Candy Bark recipe! 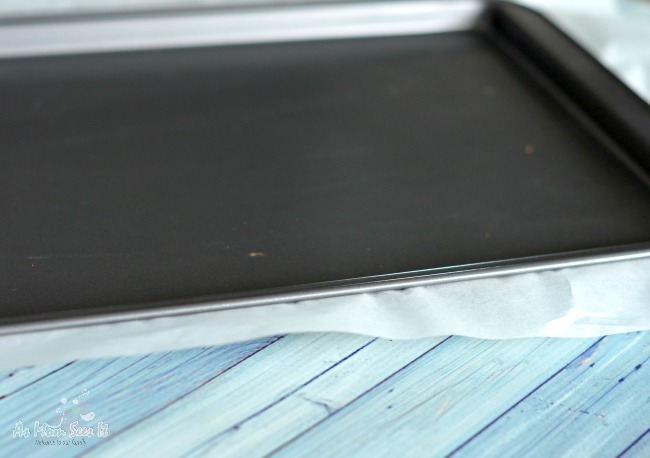 Prepare a baking sheet by lining it with parchment paper. To make it stay in place when you pour the chocolate on it, I like to stack another baking pan on top of it to reinforce the creases. 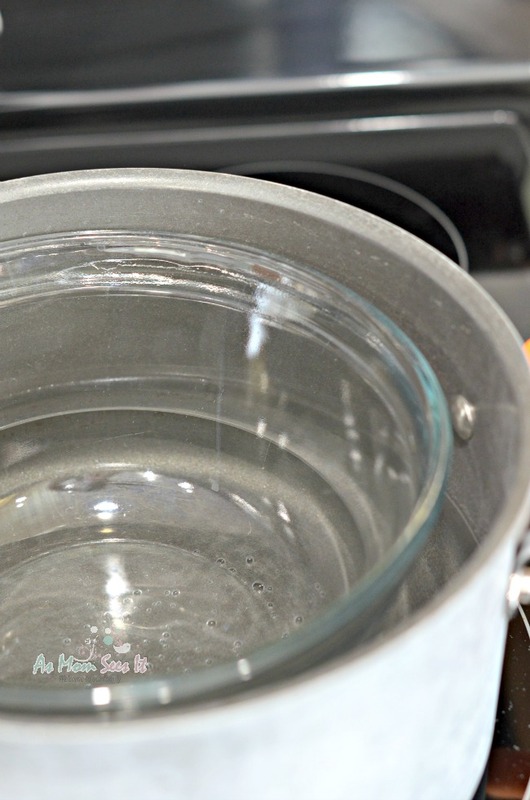 If you don’t have a chocolate melter or a double boiler, use a dutch oven or large sauce pan. Fill it with water and set the heat to medium-low. I put a glass bowl in the water (because glass holds temperatures more evenly) and make sure the water isn’t too full as to spill into the glass bowl. Pour two bags of white chocolate chips or 6 large white chocolate candy bars into the glass bowl. While the chocolate is melting, stir occasionally. Choose your favorite candies to include in your Easter Candy Bark. Or, choose all of it. 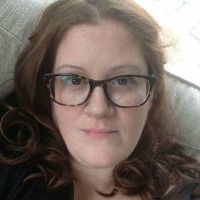 Listen – no one is judging. I chose the very pretty pastel colored M&Ms which are always on the shelves for Easter. 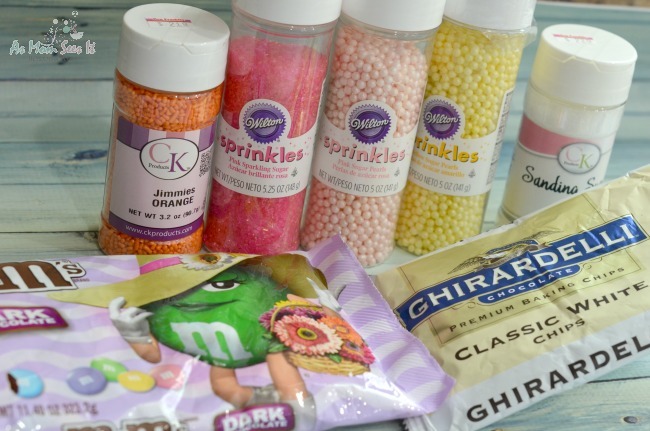 I had a few pastel colored sprinkles in my cupboard, too. Once the white chocolate is completely melted, pour onto baking sheet with parchment paper until baking sheet is covered with layer. It doesn’t have to be perfect or pretty. Just poor it in and make sure that’s it’s evenly spread throughout the pan. Once it’s evenly spread, sprinkle in the M&Ms and sprinkles. You might also add crushed candy Easter eggs or Oreos for extra chocolate flavor. Place in freezer until set about 15-25 minutes. Break apart and enjoy! By the way, this looks really pretty displayed next to our DIY Twine Carrots you can also make for Easter! Deliciously sweet and decadently pretty - perfect for Easter! Melt white chocolate on the stove, stirring frequently. While chocolate is melting, crush mini Easter Eggs or Oreos in a bowl. 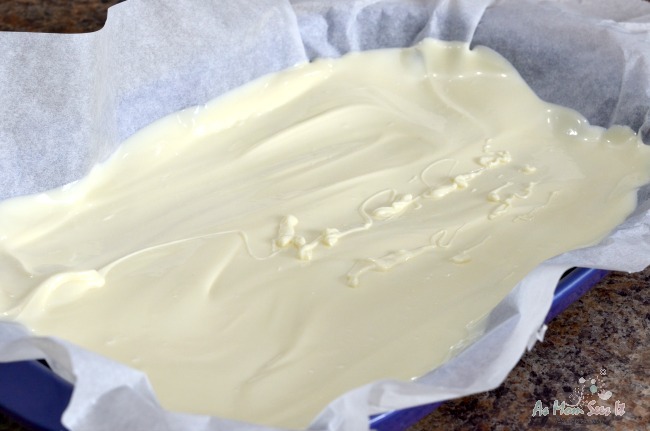 Once white chocolate is melted, pour onto baking sheet with parchment paper (until baking sheet is covered with layer). Sprinkle in the crushed candy or cookies and top with M&Ms and sprinkles. Place in freezer until set (about 15-25 minutes). This looks Great and something new for the Easter baskets. Can’t wait to try!!! We exchange See’s rocky road eggs. We love decorating Easter eggs together. We love having an egg hunt! We like to hide eggs with the whole family. This looks like the perfect treat for Easter! Stopping by from the SITS link up! We like to decorate eggs and make other decorations. I look forward to my mom’s homecooked Easter dinner. We do an Easter egg hunt in the basement. We like doing Easter egg hunts.